Mumbai: Markets around the world are breathing a sigh of relief, but it may be a false dawn as Europe is still embroiled in a political mess. The political deadlock may continue in Italy, although “showman" Berlusconi has agreed to resign, though not right away. Italy’s prime minister has only agreed to step down once parliament passes the austerity measures, raising prospects of several days of uncertainty. Berlusconi muddled through the budget vote by a small margin; however he lost the parliamentary majority. Still, Berlusconi’s offer was enough for US stocks to gain for a second straight session. The Dow Jones Industrial Average added 0.8%, to 12,170 and the S&P 500 advanced 1.2%, to 1,276. In Asia, markets were trading higher on Wednesday morning tracking the firm closing on Wall Street and reports that inflation in China was cooling off. Japan’s Nikkei Stock Average advanced 1%, Hong Kong’s Hang Seng rallied over 2% and China’s Shanghai Composite gained 0.6%. 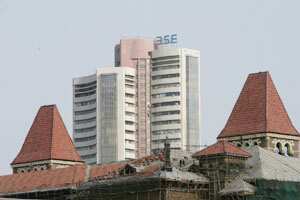 Indian markets may also open on an upbeat note on the back of gains across Asia. The Nifty future on the Singapore Exchange is up 33 points, at 5,344. Gujarat Gas Co. Ltd will be in focus today after British oil & gas company, BG Group decided to divest some of its stake. BG Group holds 65.12% stake valued at ₹ 3,495 crore in India’s largest private natural gas distribution firm. Reliance Industries will be in the limelight today after it made a statement on Tuesday evening that its unit Infotel Broadband has acquired a 38.5% stake in Extramarks Education, a Noida-based digital learning firm. Infotel has announced the acquisition through an affiliate company Reliance Strategic Investments. Airlines are facing turbulent times, weighed down by stiff competition and high fuel costs. Jet Airways may cut 10% of its workforce (around 1000 employees) to cut costs. Coal India may also be on the radar this morning due to the delay in the appointment of a new chairman after the coal ministry proposed to widen the search and include candidates outside the company and the government. The coal miner is already facing shortage of the mineral which has affected fuel supplies to power projects across India. Lastly, a growing number of Indians across age groups are logging on to the social networking site Facebook. India is all set to surpass Indonesia and United States in terms of the user base according to a company spokesperson. Facebook’s user base in India zoomed 85% to 34 million as of June this year, as per Comscore Research. Poke!